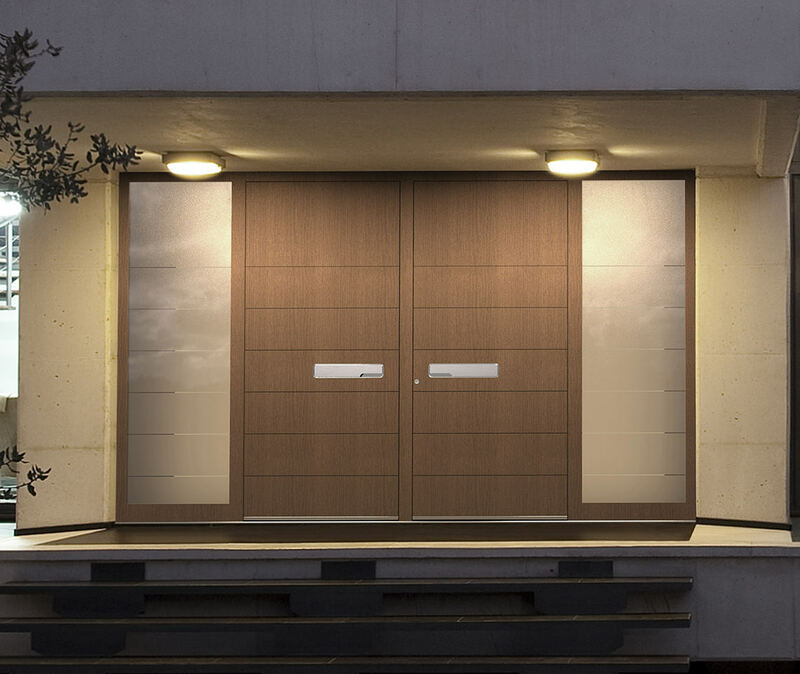 Our stunning large front doors will introduce guests in style. 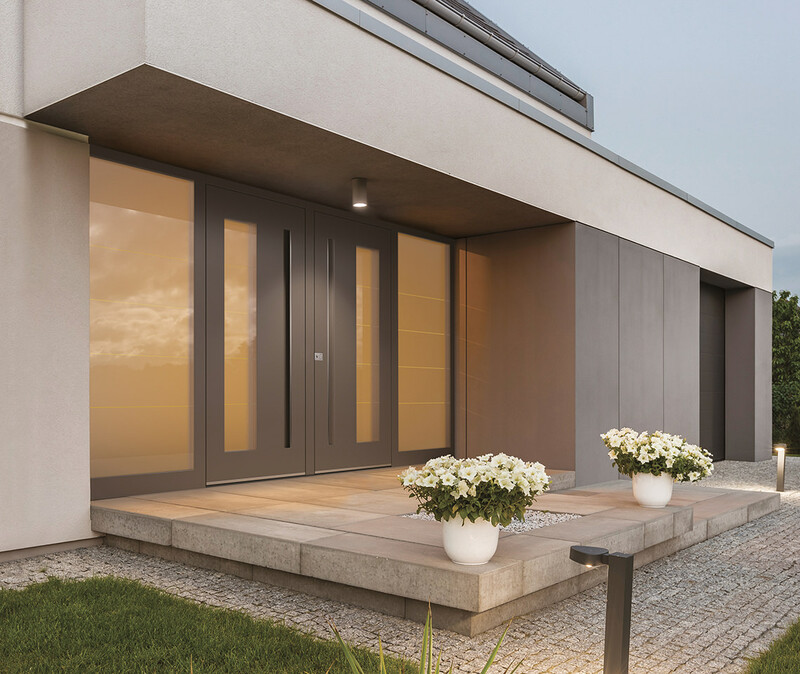 The unique design of our products will catch the attention of anyone who visits; your new oversized front doors will also reward you with stunning thermal performance. Manufactured by Pirnar, these are products built to last for a very long time. Pirnar doors are - as we have suggested - unusually large. But they offer more than just an eye-catching design. Large front doors installed by Arkay Windows are also incredibly secure. Access your home using market-leading fingerprint scanning technology and buy with peace of mind, knowing your home in Watford is better protected. Once installed by Arkay Windows, your large front doors will keep out more than just intruders. The watertight design of your installation will prevent cold air and wind from penetrating. 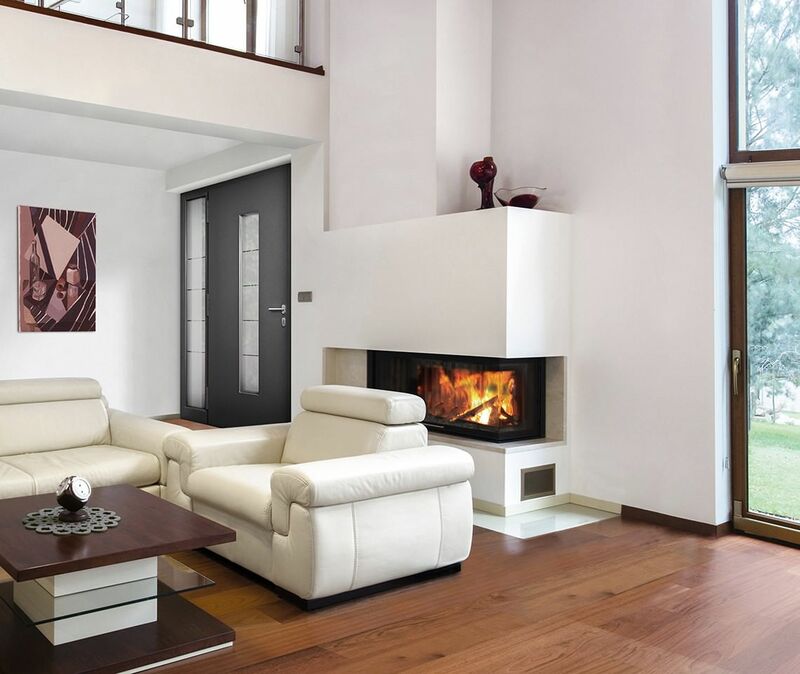 Enjoy a home that is comfortable to spend time in - and more energy efficient - when you ask us to install a market-leading Pirnar door in your London property. What makes our large front doors unique? Each installation we complete for our customers in Watford - or the surrounding London areas - is built using carefully chosen timber, steel, aluminium or carbon fibres. Contact the Arkay Windows team today for more information about our bespoke front doors. We promise to make your design unique. Our large front doors offer thermal performance that exceeds the recommendations made by Passivhaus and existing UK Building Regulations. The innovative design of each entry in our Pirnar range means that a U-value of 0.54 is fully achievable. What do these industry-leading U-values mean in real terms? Once installed in your home in Watford, our large front doors will reward you with a more comfortable space to spend time in. You’ll also notice a long-term reduction in your energy bills. 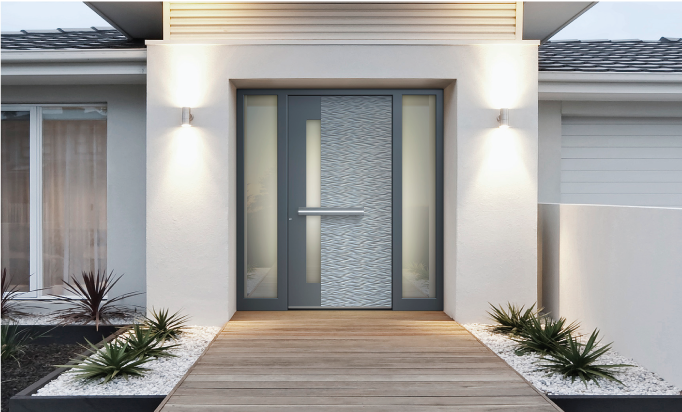 Our large front doors are fitted with technology designed to keep intruders outside where they belong. Your Pirnar product will feature a wide range of market-leading technology that will prevent almost all unauthorised attempts to access your property. A fingerprint reader built into your large front doors will ensure that only you can gain entry to your property in Watford. Concealed handles – when combined with stunning but practical LED lighting – will work to further protect you and your family 24/7. Choose a luxury large front door to suit the shape, style and size of your home. You’ll be able to customise the appearance and performance of your product by accessing a wide range of colour, texture, hardware and accessory choices to truly personalise your design. 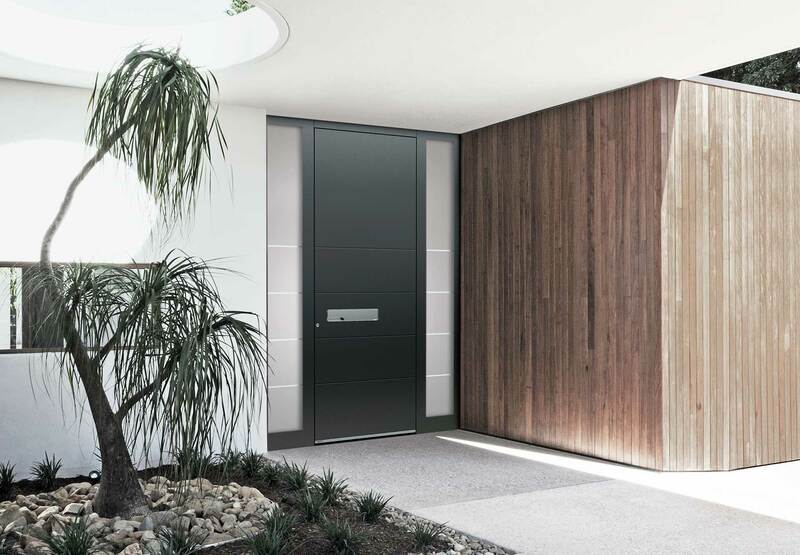 Make accessing your home in Watford easier with the Ultimum-Pure 635, which uses a one touch handle operating mechanism. Alternatively, enjoy improved privacy with the Ultimum-Multilevel 505, which features darker glass for better concealment. Discover our range of large front doors – and discuss the design choices available – by contacting Arkay Windows today. We have completed many projects throughout Watford and London and will build a product that meets your expectations in every way. The unique designs of our Pirnar large front doors mean that each installation we complete stands out for the right reasons. If and when the time comes to sell your home in Watford, prospective buyers will be excited before they even set foot inside. Cutting edge technology used in each installation we complete will add further value to your new oversized front doors. 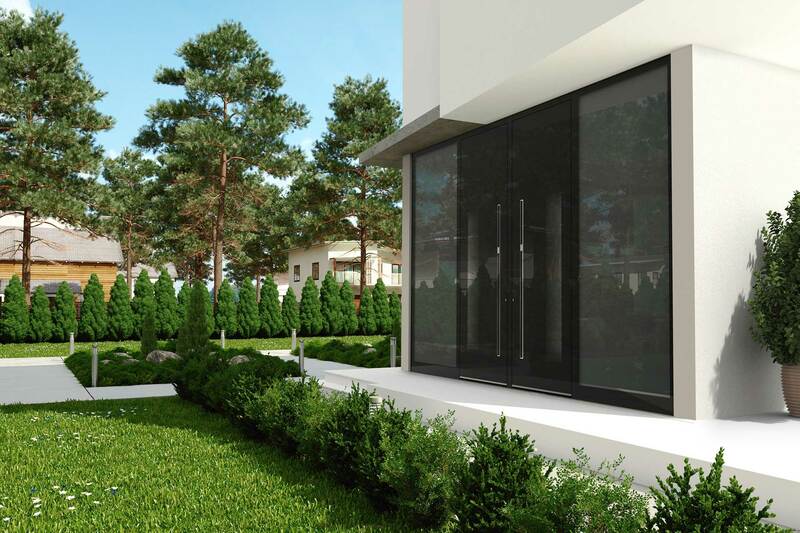 Guests or buyers that visit you at your London property will be impressed by the thermal performance and security features of your entrance. You’ll have complete control over the materials used to build your new large front doors. Combine strong but light aluminium with the enduring – and ever-appealing – appearance of authentic timber. Or, you can choose to use just one of these options throughout. If you want plenty of light to penetrate your home in Watford, glazing can be added. Should you prefer complete privacy, our large front doors can be installed in a solid style that will protect your privacy. We’ll help you fine-tune the completed design. For technical guidance – or to request a free quote – please contact the Arkay Windows team on 01923 803 923. We will be able to answer your queries in full and provide guideline costs for your home improvement project. You can also get online front door prices by using our quotation tool. It takes just a few minutes to use and you can revisit it as often as you like to get prices for other market-leading products listed on our website.